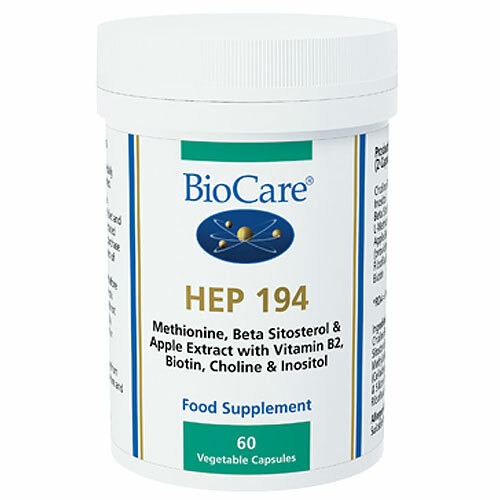 HEP 194 is a specialist combination of nutrients aimed at supporting the liver. It may particularly assist handling of fats in the liver and contains beta sitosterol with the lipotropic nutrients choline and inositol. 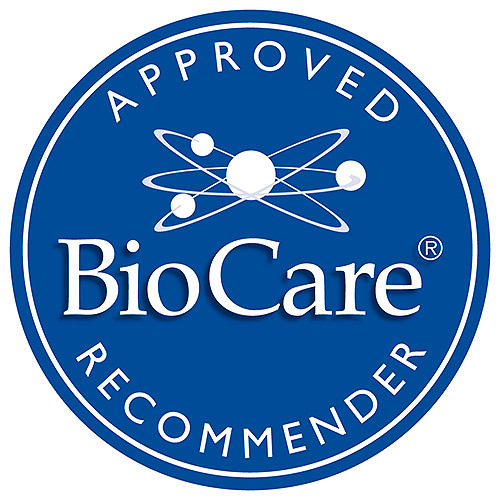 Choline Bitartrate, Plant Phytosterols* (providing beta sitosterol), Capsule (hypromellose & Water), Inositol, L-Methionine, Bulking Agent (Cellulose), Anti-caking Agents (Vegetable Magnesium Stearate & Silicon Dioxide), Apple Extract (Pyrus malus), Riboflavin, Biotin. Not suitable for use during pregnancy or if pregnancy is being planned, for breastfeeding women or for young children under 5 years of age. Not suitable for individuals with malignant conditions of the liver. Do not use if allergic to apples. Total dietary intake (from foods and supplements) of phytosterols should not exceed 3g per day. 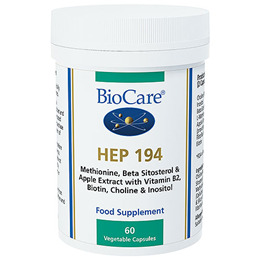 Below are reviews of HEP 194 - Liver Support Complex - 60 Vegicaps by bodykind customers. If you have tried this product we'd love to hear what you think so please leave a review.